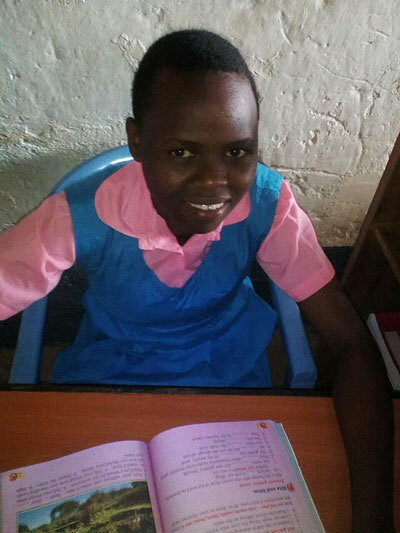 Born into a large family, Catherine has seen her older siblings go through their primary education and not proceed to secondary school. She has seen all of her older sisters get married and suffering in the hands of their husbands as they have no means of earning themselves an income. This has driven her to work very hard in school to make sure she gets noticed. She has even repeated a grade to maximize her time in school. This determination has seen her achieve a top score in her secondary entry examinations. She however has no hope of proceeding with her studies as her parents do not even realize what it means for her to have achieved such a score, education is a secondary need. She has dreams of a bright future and seeing her family out of poverty. Now that her education has been paid for, she can focus on making those dreams a reality.